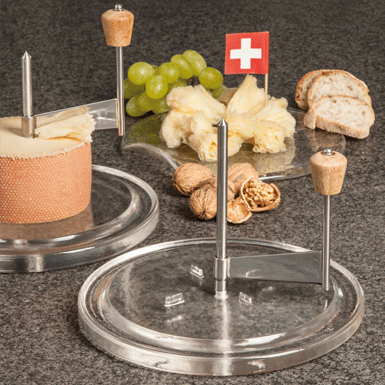 Webshop-Glasi Cheese plate and knife "Tête de Moine"
SHOP > Kitchen and table > Cheese plate and knife "Tête de Moine"
“Tête de Moine“: a semi-hard cheese with a very fine texture which melts deliciously in your mouth. It´s not served in slices, but in thin creased rosettes. Of course on a Glasi glass plate!